It’s been two years since Stor released his mix-tape “Dikter ifrån bikten” and since then much has happened. 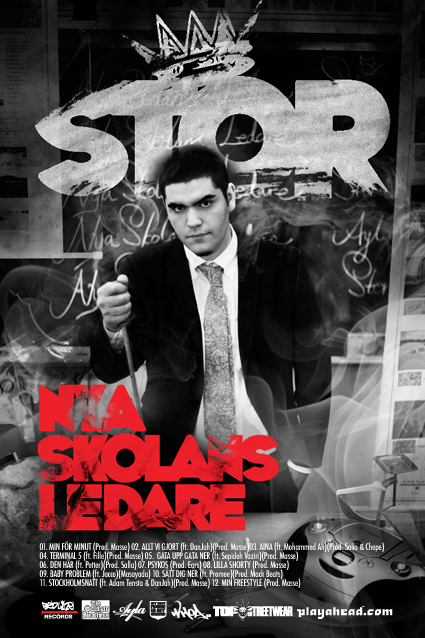 Stor left the group Vendetta to focus on his solo career and has started to work with The Salazar Brothers. He is now also part of the Ayla collective consisting of Mack Beats, Carlito and Mohammed Ali. The last release from Ayla was the critically acclaimed mix-tape “Processen” by Mohammed Ali and now the time has finally come for Stor to drop his album, called “Nya Skolans Ledare”. The first single from the album, “Stockholmsnatt” featuring Adam Tensta and Danjah, was released in November last year and the album was originally scheduled for release in December last year. So a lot of people have been waiting for this (me included) but it was well worth the wait, Stor and Ayla really proves that they are in fact “Leaders of the new school”. The album is produced by The Salazar Brothers, Mack Beats, Masayada and Ears and it features guest appearances from Adam Tensta, Danjah Fille, Jacco, Mohammed Ali, Petter, Promoe,and Sepideh Vaziri. “Nya skolans ledare” is available for free through Whoa, Playahead, TopStreetWear and MyBestFriendIsMyGrind. This year is definitely belonging to Ayla and their next release seems to be Mack Beats solo album. 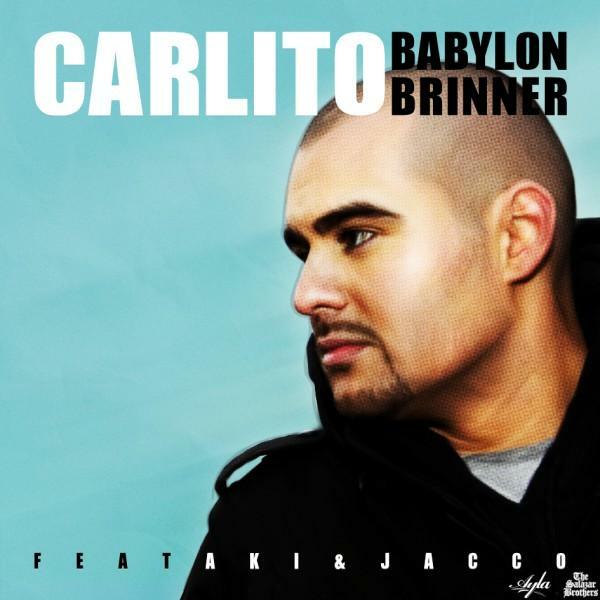 This entry was posted in Nyheter and tagged Adam Tensta, Ayla, Carlito, Danjah, Dikter ifrån bikten, Ears, Fille, Jacco, Mack Beats, Masayada, MBFIMG, Mohammed Ali, Mybestfriendismygrind, Petter, Playahead, Processen, Promoe, Sepideh Vaziri, Stockholmsnatt, Stor, The Salazar Brothers, TopStreetWear, Vendetta, Whoa on April 29, 2009 by Daniel.